Post a gasoline decal near gas tanks to remind employees to take the necessary safety precautions to protect themselves from potentially life-threatening hazards. Gas is a highly flammable chemical, and striking a match even within an arms distance from a gasoline tank could result in life-changing consequences. 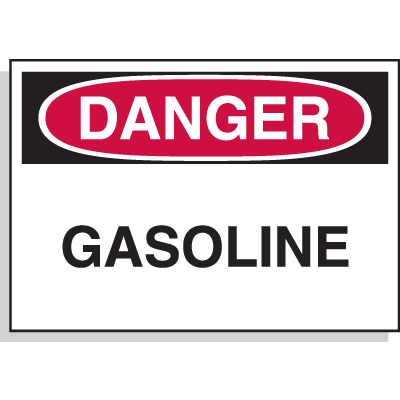 Protect yourself and your workers by using gasoline labels. At Seton we offer a variety of options, including OSHA-compliant warning labels that read “Danger Gasoline.” Available in several sizes and two strong adhesive options, these labels can be used in a variety of different situations. Pick up all the gasoline decals you need from Seton today. Gasoline decals warn employees of potential hazards and remind workers to take the necessary precautions to protect themselves. Using a gasoline decal is an efficient way to communicate important information to workers, especially when you’re not around. Gasoline labels with OSHA-compliant headers also help your facility or business maintain compliance. At Seton, we offer a variety of gasoline decals to help any facility. We offer Gasoline Chemical Label Value Packs, which come six labels per package. These gasoline labels offer an economical solution to mark chemical storage areas and containers. Each gasoline label is made from a durable self-adhesive vinyl and is designed to resist moisture, tearing and abrasion. 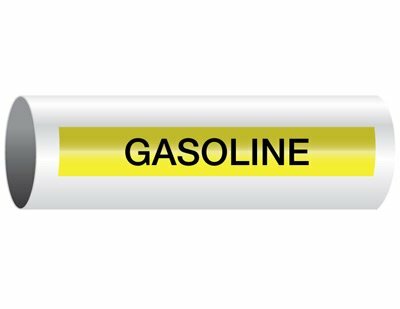 If you’re in need of DOT compliant shipping labels, we offer Flammable Liquid Gasoline UN1203 DOT Shipping Labels. These gasoline decals include DOT identification numbers and come in rolls of 500. With so many different sizes, shapes, and materials to choose from, you’re sure to find the perfect gasoline decals at Seton.